The city of Atlanta is growing and so are the neighborhoods within it. In this article, we'll discuss three up and coming Atlanta neighborhoods that are the fastest growing areas inside the perimeter. Their school districts and amenities might not rival those on our list of the best Atlanta neighborhoods, but these neighborhoods are more affordable, full of new development and could potentially promise a big return in years to come. Our first, up and coming Atlanta Neighborhood is Summerhill. Rich with history and one of Atlanta’s oldest neighborhoods, Summerhill is a neighborhood to keep an eye on. Located south of Downtown, Summerhill is bordered by Grant Park, Mechanicsville and Peoplestown. Summerhill is home to the previously infamous Turner Field which is now Georgia State's football stadium. 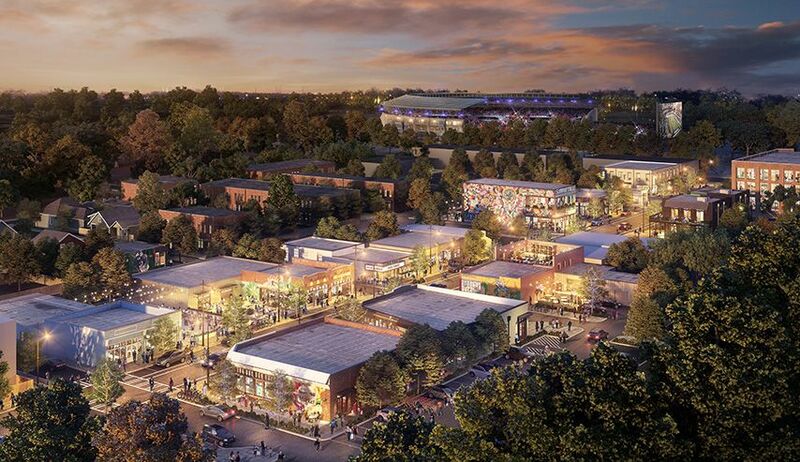 Recently, Carter Properties has partnered with Oakwood Development and Healey Weatherholtz Properties to redevelop 80 acres in this area into a mixed use neighborhood. You can view a picture of the imagined finished product above. Summerhill is also making its mark on the food and brewery scene. Not only is it one of the hottest neighborhoods for homebuyers, but a destination for great food as well. Check out Summerhill! Next on our list of up and coming Atlanta neighborhoods is Reynoldstown. 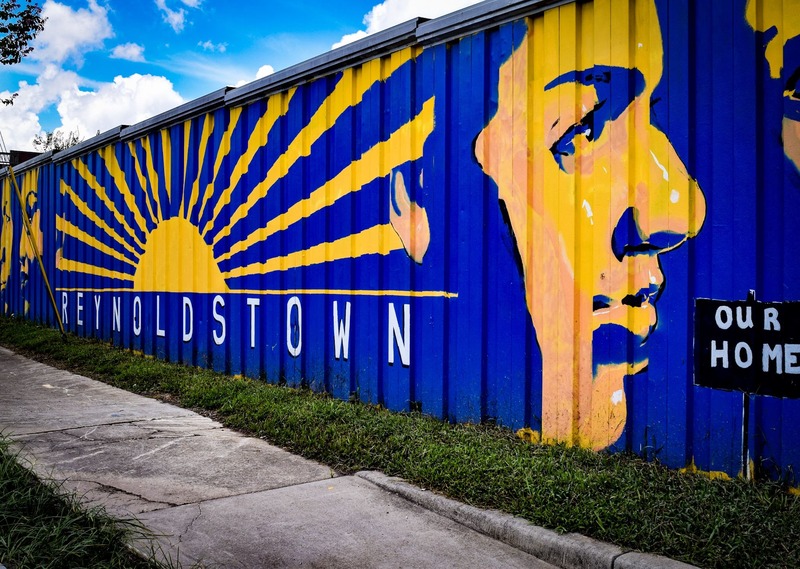 Reynoldstown is another intown neighborhood full of history. Nestled in between Cabbagetown, Inman Park and Edgewood, Reynoldstown is one of the most desired Atlanta neighborhoods. Described as “friendly and very walkable”, the neighborhood is very diverse. With the Atlanta Beltline expansion currently under construction and slated to open in early 2019 in this area, the neighborhood is gaining popularity among first time home buyers and young families. The new section of the Beltline will connect Kirkwood Avenue to the ever developing and improving Memorial Drive. Check out Reynoldstown! 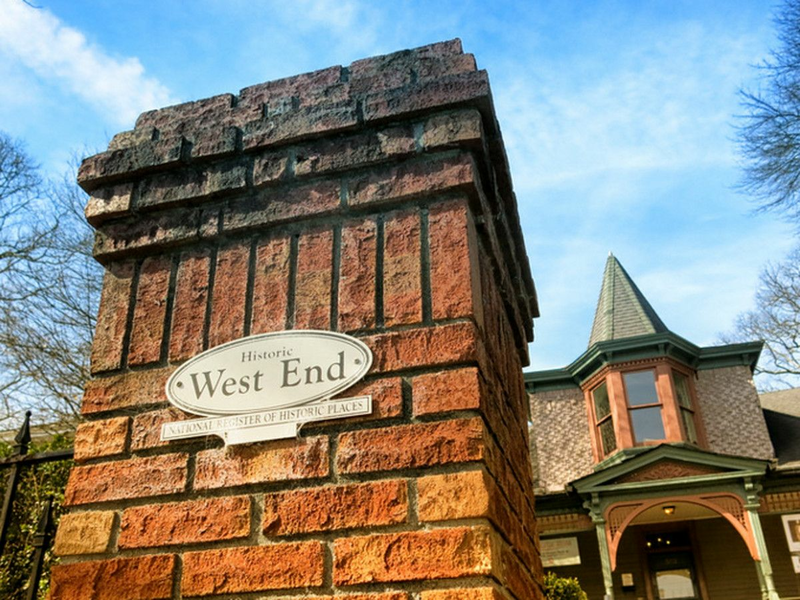 Third on our list of up and coming Atlanta neighborhoods is West End. West End is located southwest of downtown and neighbors Westview and Adair Park. The renewal of the area started in the 2000's with investors moving in to revitalize and rejuvenate homes for people seeking the urban lifestyle. In 2010, Creative Loafing designated West End as the Best Neighborhood for Artists. West End is home to Mile 0 of the Atlanta Beltline and 5 City of Atlanta parks. If you are looking for a unique and diverse neighborhood with tree-lined streets, greenspaces and the beauty of historic homes, check out West End! For more information about real estate in these areas, contact the SimpleShowing Team at hello@simpleshowing or give us a call at 800-456-8075.